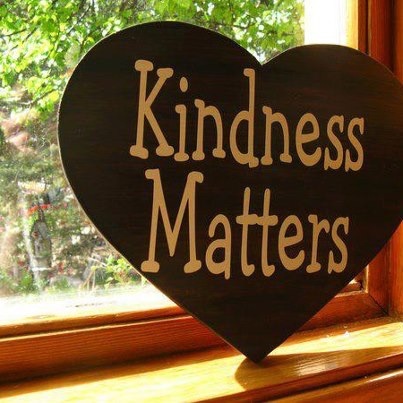 People talk of kindness all the time, but it’s rarely seen in real life. But speaking of real life, let me tell you about a real story. In a rather well-known restaurant in the south, a couple decided to have dinner after a long day at work. Mainly due to the wife’s insistence, they ended up with 2 viands, a noodle dish and a cup of rice. After eating as mush as they could, they still ended up having both viands doggie bagged. As per their normal routine, each decided to light up a cigarette. With a nod from his wife, he gets up, and tells the children, “Jan lang kayo.” (Stay there). He then goes back in the restaurant. Upon caming back out, he was empty handed. He tells the kids to sit down at the next table. Less than two minutes later, a waiter comes out carrying two plates of rice, the viand in a nice plate and two glasses of iced water. Again, people talk about kindness all the time, but this is the first time in a long while that I personally witnessed an act so selfless and so random that it just completely overwhelmed me. After seeing that, I think that that man stands the kindest man on earth. And I am the luckiest woman in the world because that man is my husband.